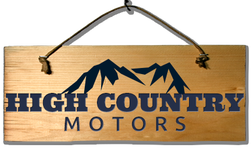 These great people offer exceptional goods and services and we highly recommend them! Please click on their logo to find out more about what they offer. Nice things people have said about our site! Thanks! Happy holidays to you. I want to thank you for the website and keeping the cameras up. I'm an ice fishing enthusiast in Colorado Springs and I've visited your site two or three times a day to see when it's capped. My question is, where is the first camera looking from? In other words, what part of the lake is it looking at? I'm sure you've been asked a thousand times but I'm just curious and didn't see it on the website. Looks like we're getting close and my buddies and I will be up there the 7,8,9th if the ice cooperates. I have been watching your images for years now. We camp, fish, hunt, hike, and more all year long. We also have friends in A-bay with a cabin(that's where we stay for ice fishing every weekend). We use your site for your input on the ice and more. I just wanted to say thank you for your time and effort to make this site. It is wonderful. Thanks, Ken G.
We own a house near Grand Lake but live most of the time near Manhattan, Kansas. Whenever we need weather information about the area I always go to your website. It is much more relevant than the Weather Bureau since their information apparently pertains to Kremling. And, your live video showing current conditions is terrific. Thanks for starting and maintaining this site. Tom Rawson. You have the best cam ever. I love watching the hummingbirds. I have a condo at Granby Lake Shore Estates and like checking the weather before I come up. Mike, I clicked on the contact us page on your site to get your email. I just want to say that I love this site, being able to see the lake whenever I want and I love how you put the Ice reports. We will be up there this weekend giving it a try. Thanks again for a great site. I do not know who your photographer is, but your screen saver photos are unbelievably beautiful. I find myself wasting time, waiting for just one more photo to come up. I get lost and forget if I have sat through the whole set. If you ever put a collection out for sale please post a note on your website. Beautiful! Thanks for making your webcam available. We really enjoy it. I am a RMNP Astronomy volunteer and also used it to see if it was cloudy before our bi-weekly Astronomy gathering on Friday. What direction is the cam pointed? South East? Just took a 2 min. "mini vacation" to the cabin and so enjoyed seeing the lake, and the crow who was curious about the pumpkin on your deck. It is so GREAT that you put this up and also added your fabulous photography AND the weather info. connect! At 8280 feet, LGYC is one of the highest-elevation yacht clubs in the world. Lake Granby nestles under the shoulder of the towering Continental Divide, deep within the Rocky Mountains. Granby, together with neighboring Grand Lake and Shadow Mountain Reservoir are the headwaters of the Colorado River, which here begins its run to the Sea of Cortez. Hi Mike & Kitty, I want to take a moment to THANK YOU for sharing your webcam! My husband and I have a cabin that overlooks the north end of Lake Granby and when we can't be at our cabin I enjoy looking at your webcam to see what's happening at the lake. I also enjoy seeing the birds at your feeders. I pull up your website everyday to see the views and check the water level. It's been amazing to watch how fast the water level has come up! Recently we spent a week at our cabin and we could see a difference everyday as the water level was rising. We love seeing the lake filling up! Thank you sooooo much for sharing!! Check out Bernie's fishing guide services! Thanks for your web site! I have a cabin on Lake Granby and check out what's going on up there via your site from time to time. From the photos I cannot see where exactly your camera is located. Here is a link and weather forecast for the location of my cabin. You can make your own link for your location if you want. Thanks agin for the nice web site. Hi there, Really appreciate the webcam. We have a cabin up by Pole Creek and fish Lake Granby often (summer and winter). It’s great to be able take a look at the lake every now and again when I can't be there in person. Looking forward to the ice. I like your site. I have weather station over the hills from you in WP Highlands and am curious what model Davis station you are using. I was also wondering if you would mind if I posted a link to your site on an Ice fishing forum? Ps love the picture of the Golden. To Whom It May Concern, Thank you for putting in this web cam. It’s really helpful for me living here in Denver to know when the ice clears. Why are you so generous in allowing the public to peek at the lake with your cam? I enjoy the camera, from the humming birds to the view of Colorado's Lincoln Memorial. For those interested there is a web cam for the Kawuneeche Valley in RMNP, in the evening you can see the elk coming out to graze. Does anyone have the address for the Web Cam that has a view across Shadow Mountain Lake. It was on the Colorado Cams web site before the realtor retired and shut it down. I have a cabin over by the pump plant and have a similar view. THANKS FOR YOUR SHARING!! !